The University of York has published a Science and Innovation Audit on behalf of industry, universities, agricultural colleges, and LEPs focussing on the Bioeconomy of the North of England. The consortium envisages a region where innovation-driven products, processes and services in the bioeconomy will lead to the region having gained global recognition by 2030 with its international profile attracting significant inward-investment to create and sustain high-value jobs and companies. 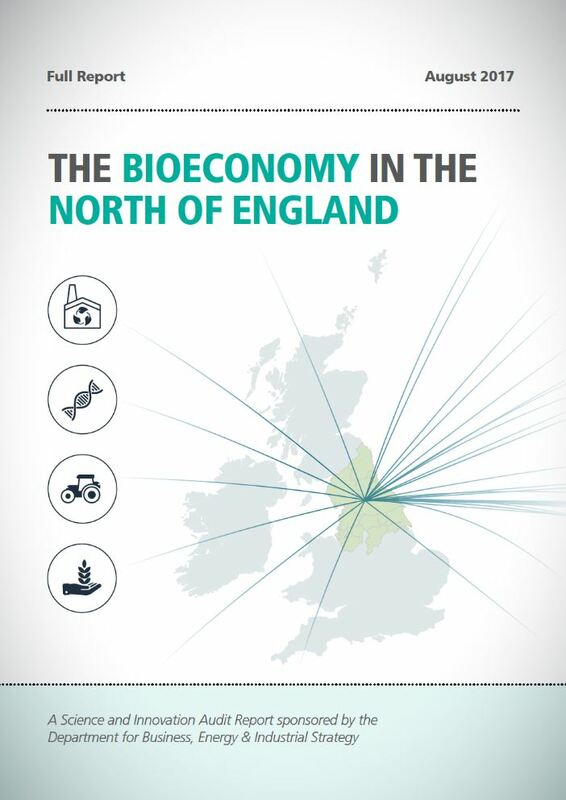 The North of England is underpinned by over 16000 companies working in the bioeconomy with an annual turnover of more than £91bn, employing over 400,000 people. Significant innovation and translational organisations are sited in ther North, for example Fera Science Ltd, the Centre for Process Innovation, the Biorenewables Development Facility, and the Materials Innovation Factory. The region emplys 38% of the UK’s chemical workforce, 31% of the polymer industry workforce and 36% of bioeconomy-relevant apprenticeships. Translation of sector-specific research into innovative products and services is not fully coordinated. Commercial-scale processing of biomass currently lacking critical mass for clustering and innovation. Transportation bottlenecks between the east and west of the Pennines. Policy framework for biofuels and bioenergy uncertain, and a lack of renewables incentives for biomass-derived high-value products. Establish a “Northern Bioinnovation” to coordinate innvoation support for businesses across the region. Provide a 5-year innovation support programme managed by Northern Bioinnovation to support innovation, skills, and capital grants. Work with government to review the policy framework relating to biorenewables. Establish an ‘advanced bio-manufacturing park’ as a bio-cluster and develop a substation venture fund to support businesses in the region.